Hydrogenated Polydecene, Hydrogenated Polyisobutene, Ethylene/Propylene Copolymer, Ricinus Communis (Castor) Seed Oil, Hydrogenated Poly(C6-14 Olefin), Calcium Sodium Borosilicate, Cetyl Peg/Ppg-10/1 Dimethicone, Hexyl Laurate, Polyglyceryl-4 Isostearate, Sclerocarya Birrea Seed Oil, Passiflora Edulis Seed Oil, Mica, Phenoxyethanol, Ethylhexylglycerin, Tin Oxide, Tocopherol, Pentaerythrityl Tetra-Di-T-Butyl Hydroxyhydrocinnamate. May Contain / Peut Contenir (+/-): Titanium Dioxide (Ci 77891). The universal, lightweight, unique formula creates youthful-looking, well-hydrated skin, with a glassy complexion. 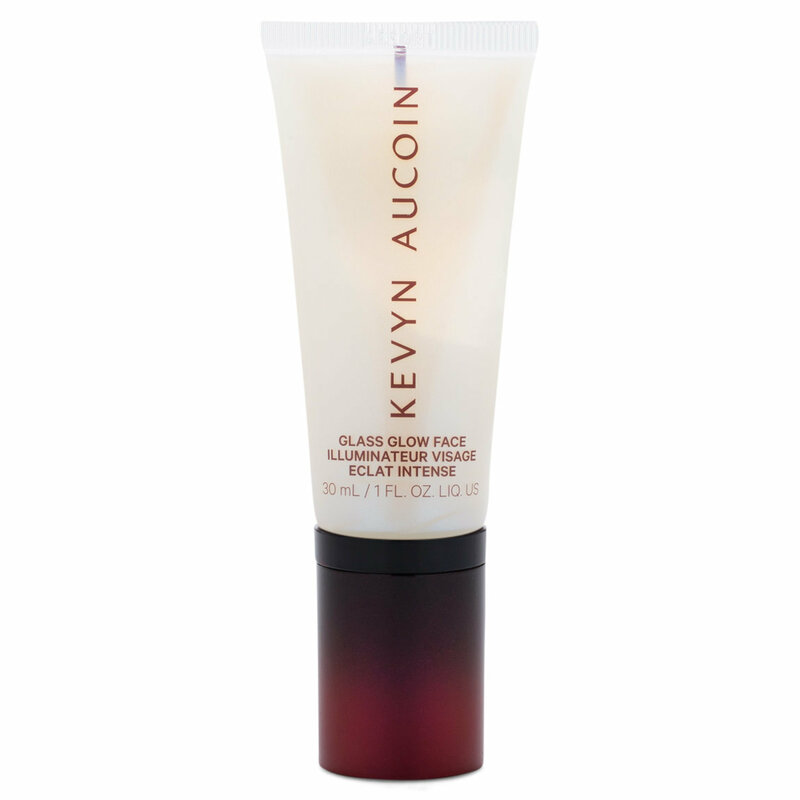 The multi-purpose glow-gel can be used on the face and body, leaving skin appearing clear, radiant, and seemingly transparent. The bridge between highlighting and skincare, Glass Glow Face is the perfect addition to any routine! Lightweight formula absorbs into the skin for smooth, even application. Mix equal parts of Glass Glow Face with the Etherealist Foundation and buff into the skin for an illuminated radiant glow. Press Glow Glace Face onto the high planes of the face and inner corner of eyes for hits of highlight & sheen. Apply all over body for a radiant glow. Passion Fruit Oil: Rich in Omega 6, promotes a smooth touch on the skin. Marula Oil: Rich in anti-oxidants, packed with Omega Fatty Acids 3, 6, & 9 which improves skin hydration, anti-inflammatory, soothes and reduces redness.